In Episode 331 of The Pull Bag Mike, Dan, and DJ are your terrific trio into the world of Sean Murphy's Batman White Knight! 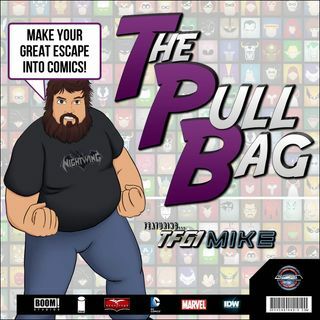 Jump inside The Pull Bag with us as we find out the intense meaning behind The Joker being the Hero and Batman being the Villain! This is just part 1, so join us to find out if we survive or not whilst reading this excellent comic series! As always Make Your Great Escape Into Comics!! !